← Live Sleevefacing this Friday from the Arts Extravaganza! 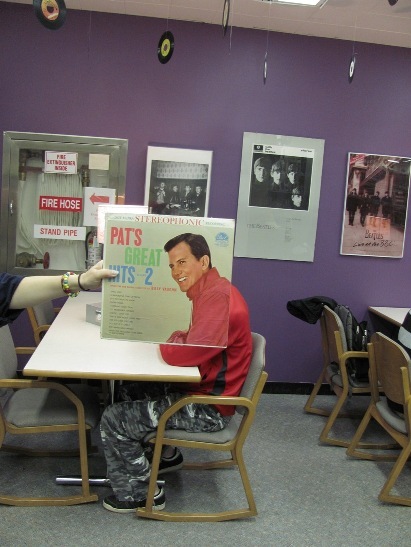 Pat Boone enjoys the Music Library’s decor, but he secretly wishes there were more posters of him on the walls, instead of those kooky Beatles. In this photo: Pat Boone, the Beatles, Lisa Disinger and Brian Scavo. Photo by Liz Tousey. This entry was posted in Pop and tagged Pat_Boone. Bookmark the permalink.